If you are going to work with a personal trainer, of course you want to work with a good one. After all, if the personal trainer you choose cannot deliver results or simply does not work well for you, it will be a waste of your money and time. So why not train with Mr. America himself? Jason Kozma, one of the Los Angeles area’s best-established and most-trusted personal trainers, has won multiple bodybuilding titles, including Mr. America, Southern States Champion, Kentucky Derby Champion and Mr. Muscle Beach. These awards recognize Kozma’s dedication to a disciplined, holistic and results-oriented approach to personal training. Kozma has achieved his results through diligence, conscientiousness and genuine effort, and now he puts the lessons learned from his success to work for clients like you. When it come to fitness, trends and fads come and go, but Kozma’s own success and the results he has achieved with his clients are a testament to the fact that when it comes to physical fitness, there are some tried-and-true methods that just work, regardless of whether they are in fashion at the moment. Kozma takes a very personal approach to his business, working carefully with each client to determine what sort of workout and nutrition plan makes the most sense for that individual client’s goals. This is what sets him apart from other personal trainers, who take more of a cookie-cutter approach to their work. If you are interested in learning more about Kozma, please feel free to contact us for more information. 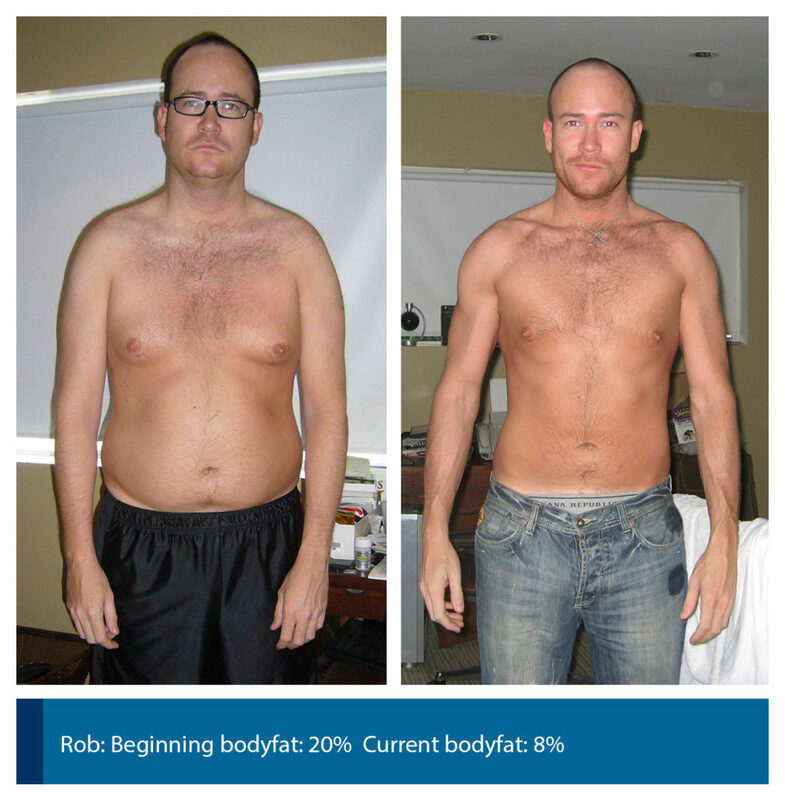 Go to the Before and After Pictures and Client Testimonials sections for examples. Whether freshman 15 is a myth or not can solely depend on the individual. And if you lead a healthy college life, then gaining 15 pounds during your first year will only be a figment of your imagination. However, it will be an adjustment period for all freshman students, health-wise. Having a meal plan can make things harder when you have so many unhealthy food choices especially on a hungry stomach. So if you decide to go for the pizza slice, then make sure you pile up on the greens like a salad. Instead of stopping at the cafeteria for your daily greasy breakfast meals, try to keep fruits like apples, veggies like carrots and celery sticks, peanut butter, hummus, yogurts, hard-boiled eggs, bread, and bagels in your room. Late nights and stress can also lead to binge eating. So choosing these instead will keep you a lot healthier. These are all easy on-the-go choices, too. But if you have ample prepping time in the morning, why not try making a green smoothie? Green smoothies are packed with healthy nutrients that will keep you energized until lunch time. Now you are setting off your day on the right foot. Diet and exercise go hand-in-hand. Your body needs to be in motion in order to stay healthy. You may have tried simple exercises like sit-ups, push-ups, leg lifts, and weights in your room but that can become boring after a while. Consider changing things up by working with a personal trainer. As a college student, you are busy with your studies, your social life, and catching up on your sleep. Switching gears to work with a personal trainer on a weekly basis will keep things more interesting and fun. With a variety of exercise equipment and proper guidance from a trained professional, you will feel more refreshed after a long week battling with your exhausted body and mind. Your body will thank you for it! To find out more about preventing freshman 15 or anything else, please feel free to contact us. We provide personal training at our gym conveniently located on Santa Monica’s Third Street Promenade (south of Wilshire Boulevard) and in West Los Angeles on Santa Monica Boulevard. Westwood Personal Trainer Morgan is an NASM certified personal trainer with over ten years of experience in the fitness industry. He specializes in a wide variety of training styles including weight loss, bodybuilding, functional training, core strengthening, and plyometric / reactive exercises. Morgan has also been trained under master trainer Jason Kozma in High Performance Personal Training techniques. He is also a licensed massage therapist. He will work with you to design an individual fitness program to suit your needs. He is available for both private in-home training and at several gyms throughout West Los Angeles including Brentwood, Westwood and Santa Monica. You’ve gotten me into the best shape of my life. Not only am I buff as hell but I feel AWESOME!…. thanks to you. These past few weeks off from training with you have been a pain because I’ve actually missed working out. I can’t wait to start training with you again and this time I will be recruiting some of my sorority friends! For more great photos and stories: go to the testimonials page! To start functional training, weight loss or bodybuilding training with High Performance Personal Trainers in Westwood, Brentwood or Santa Monica, contact us. Jason’s gym is located in Santa Monica, conveniently adjacent and easily accessible for residents of Westwood. Many UCLA students and faculty train with us at the Santa Monica gym on 3rd Street Promenade and find the location quite convenient with free parking right behind in the gym. We have an additional personal training location in West Los Angeles on Santa Monica Blvd just a few blocks east of Bundy.